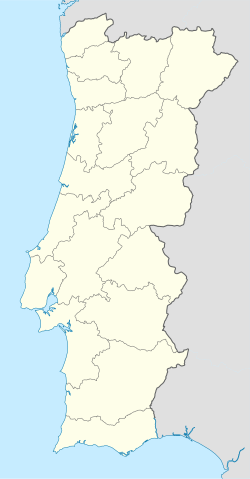 Minde is a freguesia ("civil parish") of Alcanena Municipality, in Santarém District, Portugal. The population in 2011 was 3,293, in an area of 21.14 km². Minde is known as the place of origin of the Minderico, a sociolect or argot spoken by traders. ^ Manuel Fernandes Vicente (2009), "Minderico renasce com apoio da Volkswagen a línguas ameaçadas", Público, edition of 17.08.2009, p. 22. This Santarém location article is a stub. You can help Wikipedia by expanding it. This page was last edited on 5 November 2018, at 12:45 (UTC).